mgx | COSEL ASIA LTD. I don’t want to use a different converter for a different input voltage of DC12V, 24V or 48V. The input voltage is not stable, so the input voltage fluctuation is very big. The input surge voltage due to a relay ON/OFF swtiching is so big that the converter may be damaged. I need a converter that can work at lower input voltages for data backup when instantaneous power failure happens. 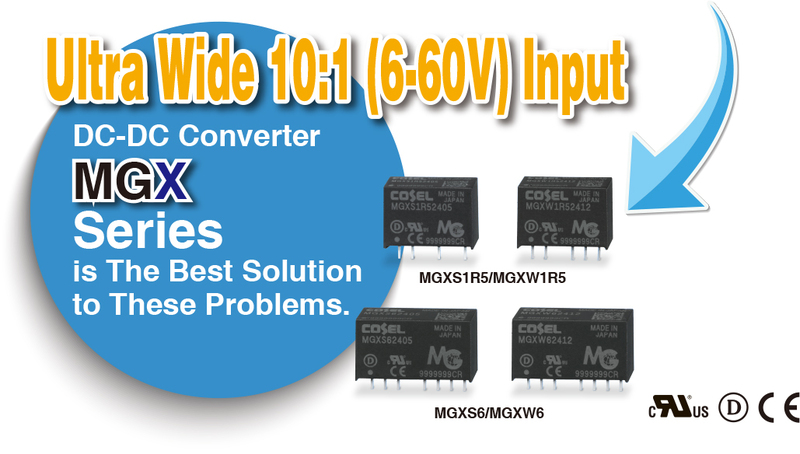 MGX Series Covers Input Voltage Range of DC12V-48V.